From telephone to VoIP software, innovative solutions have continued to best fit the needs of the evolving business communications. But, as competition toughens, it has become critical for telcos to understand the current trends that are redefining the new age telecommunication. It is time for them to leverage the best analytical solutions that can help them improve core business processes and enhance their value proposition. Moreover, they need robust solutions that allow them to stay ahead of the competition. As content delivery is grabbing wide attention today, telcos need to integrate with content service providers to stay relevant. In the age of connected devices, IoT, and streaming videos, telcos are accelerating innovation by adopting 5G architecture. They are also evaluating various cloud solutions to achieve scalable IT services at a lower total cost of ownership. In this scenario, telecom analytics solution vendors are assisting telcos to better understand the technological trends, consumer demands, and are providing them with accurate insights to remain competitive in the market. These solutions are of great importance in the overall telecom operations, be it initial assessment or network design and delivery. 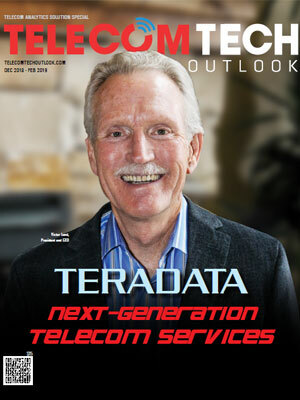 The implementation of a real-time data analytics engine is certainly a shot in the arm for the telcos. 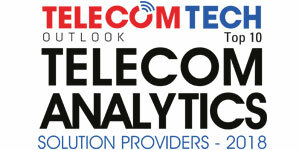 With the aim to assist telecommunication companies find apt telecom analytics solution provider, our distinguished panel comprising of eminent CEOs, CIOs, VCs, and analysts, along with Telecom Tech Outlook’s editorial board has assessed several solution providers and shortlisted the ones that are distinctively prominent in the industry.